In July this year I ticked off the most important goal of my season in qualifying for the Australian team for the 2018 Gold Coast Commonwealth Games. There were two opportunities to automatically qualify this year. The first at the Gold Coast World Triathlon Series event in April and then the Hamburg WTS in July. Auto qualification criteria was simply finishing as the first Australian within the top 10 overall. In Gold Coast I finished up 6th but second Australian behind Ashleigh Gentle. This result gave me great confidence heading into Hamburg but I still felt a huge amount of self pressure to perform on the day. Despite not executing a perfect race in Germany– I finished 8th and ticked the auto qualification box at the same time lifting a huge weight off my shoulders. Two weeks ago I headed to the Gold Coast for the official announcement of the full triathlon team for next year’s Games. The third and final member of the Australian women’s team was decided by discretionary selection a few days prior to the announcement. 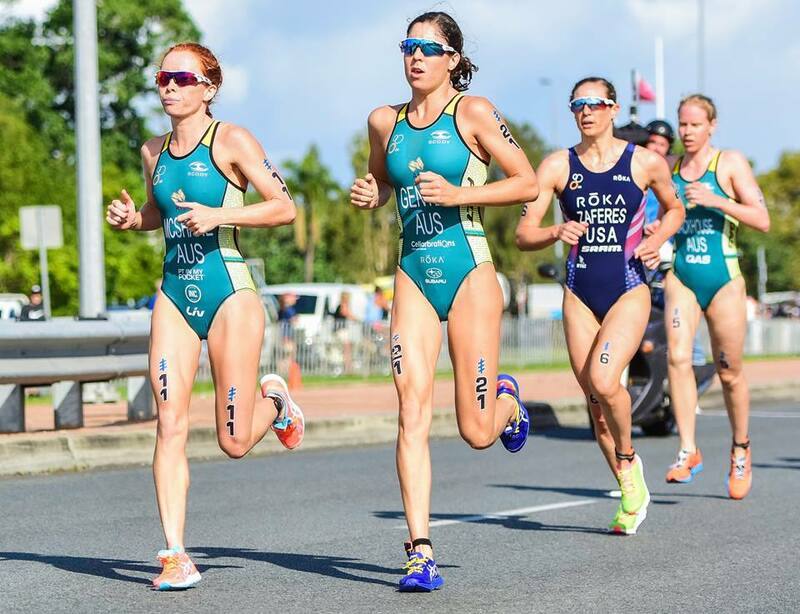 Triathlon was the first Australian team to be announced for the Games and the women’s triathlon will also be the very first medal event come April! Even though I had known for a while I was in the team, it made it that little bit more real and exciting to join my team mates Ashleigh Gentle, Gillian Backhouse, Jake Birtwhistle, Luke Willian and Matt Hauser for the official announcement. Both the men’s and women’s triathlon will be on the 5th April with the team relay two days later on the 7th April. Tickets for the grandstand are sold out – but fortunately triathlon is a free spectator event so you are still able to watch on course. I have just started my preparations for 2018 kick-starting my pre season training at the Australian Institute of Sport in Canberra. I’m very excited to get fit and ready to line up in the best form possible in April!